Greetings from the Burgh, where I must admit that I couldn’t sleep Tuesday night because I’m so excited about the upcoming union vote in Chattanooga, Tennessee at Volkswagen. I was there 5 years ago when I found out they lost by 43 votes and lived there for a year of my life working on a book trying to understand it. Help me get back there to cover it. So far, we have $283 out of $2,000, but with 1,131 people on this list if just 100 people threw in $17 each, we could easily reach our goal. Throw in today. Initially, some in the labor community wondered if the UAW had gotten a majority of workers to sign cards calling for a union election. NLRB law allows for workers to call for an election with just over ⅓ of the bargaining unit signing on for an election. At Nissan in Canton, Mississippi, the workers there filed for a union despite lacking a majority of workers authorizing a union vote. Payday Report has learned that the UAW has signed up more than a majority of the workers expected to be in the bargaining unit at Volkswagen. The UAW declined to release the exact amount of the plant that has signed union authorization cards but feels confident given their margin going into the election that they can achieve victory. In February of 2014, when the UAW first held a union vote at Volkswagen, the plant had been opened for a little less than three years. Many workers feared that the plant might close if they voted for a union. However, last year, Volkswagen announced that they planned to invest $800 million in building a second assembly line; adding over 1,000 jobs to the plant; jobs, which Volkswagen struggled to fill because of the chronic skill gaps in Tennessee due to the underfunding of vo-tech education. In 2014, many Volkswagen workers believed that problems at the plant would be worked out in time as the facility went into operation. However, over the past 5 years, workers say that problems have increased dramatically. During this period, UAW Local 42, a minority union, has increasingly been critical Volkswagen; something which the UAW refrained from doing under the terms of neutrality deal struck during the first union election. Workers have seen a rise of only 50 cents an hour over the last 4 years and no increases in vacation time. A major source of contention for pro-union workers is the ability of Volkswagen to arbitrarily and suddenly change shifts, forcing many people to work night shifts and forgo seeing their families. Pro-union workers also say that favoritism is rampant in the plant. 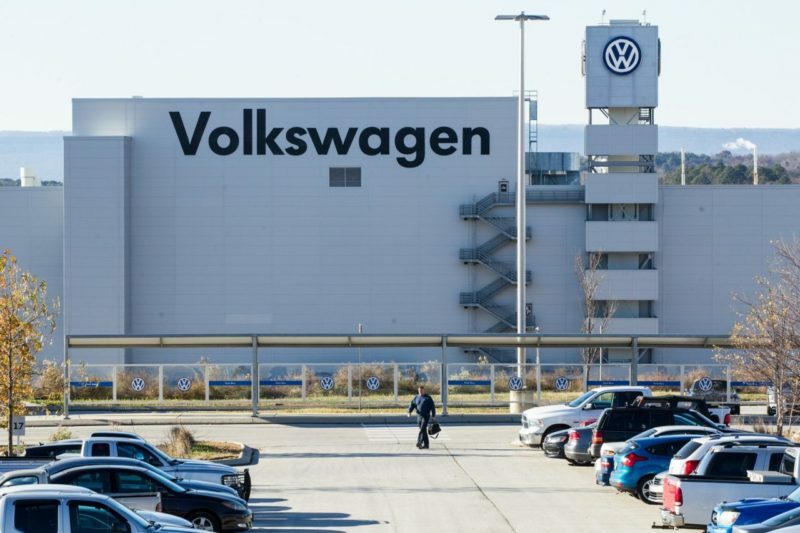 Unlike the last union election in 2014, Volkswagen has so far declined to sign an agreement on management conduct during the union election there. 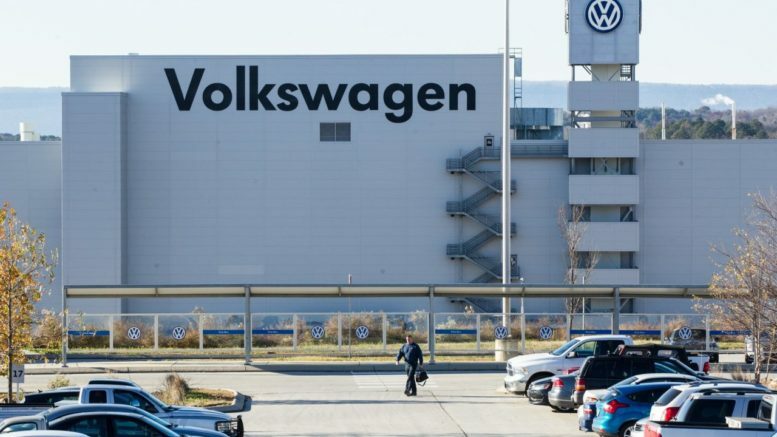 So far, Volkswagen has not run any coordinated anti-union activities such as captive audience meetings or one-on-one meetings to discuss unionization with workers. Given the heavily unionized nature of Volkswagen in Europe, it’s unclear if the company would be willing to run a scorched earth style anti-union campaign similar to the one at Volkswagen in 2014. What anti-union opposition the UAW is facing so far appears to be uncoordinated and sometimes driven by the individual anti-union animosity of certain managers. Union advocates do expect dark money groups to spend heavily on billboards and TV ads to denounce the union. The aim of such ads is to create a pressure cooker situation, like during the last election, where community members put pressure on Volkswagen workers to close the union. However, with the recent plant expansion, the argument would have much less validity. The NLRB has yet to choose a union election date, but the quicker the election, the less likely it is that dark money anti-union forces will be able to ramp up a major campaign. In the 2014 election, dark money forces had 5-6 months to blanket Chattanooga with anti-union messaging. Under a worst-case scenario, anti-union forces will have less than 2 months. Last month, Payday Report exposed how NewsGuild President Bernie Lunzer refused to allow debate at the union’s convention in January on allowing 2,000 new members, without first contracts, to vote in the upcoming NewsGuild Presidential election. Now, the 61-year-old Bernie Lunzer, who hasn’t worked in a newsroom since 1989, is also refusing to debate his opponent, 31-year-old Jon Schleuss, who helped lead the groundbreaking union drive at the LA Times in 2018. “A strong candidate would welcome a debate to defend his record, but my opponent’s record isn’t defensible,” said Schleuss in a statement released on his campaign website. “The incumbent has also overseen the departure of veteran Guild staffers and has left top positions vacant. The union of journalists and media workers doesn’t have a director of communications, nor does it have a director of collective bargaining. How can we continue to grow and thrive without a strong communication plan and an effective strategy for bargaining?” wrote Schleuss. Last week, the Mississippi Education Association sent out a survey to all of its members asking them if they would be interested in participating in a one-day “sickout” strike similar to what’s been done by teachers in Kentucky, North Carolina, and Virginia. The survey comes as rank-and-file educators are increasingly moving towards more militant action. At the same time that the Mississippi Education Association sent out the survey, the 40,000 members strong Facebook group “Pay Raise for Mississippi Teachers” sent out a call asking its members to go out on a sickout strike. Last month, Payday covered how teachers in Kentucky continue to go out on “sickout strikes” despite their unions sometimes being opposed to them. Kentucky teachers have gone on four major “sick-out” strikes this semester alone. Sickout or sick-out? This week, the GOP controlled Kentucky Labor Cabinet announced subpoenas for the records of 5 county school districts including Lexington and Louisville area districts to determine which teachers went on “sickout” strikes. Under Kentucky law, teachers’ strikes are illegal and the investigation by the Kentucky Labor Cabinet will likely examine whether the locally elected Democratically-held school boards allowed a sick-out strike to occur. Local labor leaders fear that the subpoena is a scare tactic designed to discourage more strikes. Tenayuca led the 1938 Texas Pecan Shellers’ Strike, which was largely composed of Mexican-American workers who kept seeing their pay cut amid unsafe working conditions faulted for a high rate of tuberculosis among the workers. Historians say Tenayuca had to be “incredibly persuasive” to convince workers to strike given the threats they endured for standing up to the company’s owners. However, on January 31, 1938, some 12,000 workers walked off their job and elected Tenayuca their strike leader. She was 21 years old. “She was single-mindedly courageous in her effort to provide opportunity to an entire population of disempowered pecan-shellers; they were primarily Mexican-American, primarily women, and some children living in a time period when it was considered ridiculous for Mexican-Americans to speak up, even more ridiculous for women to speak, and disrespectful for the young to speak up,” said Dr. Carmen Tafolla, who co-wrote children’s book That’s Not Fair! : Emma Tenayuca’s Struggle for Justice with Tenayuca’s niece, Sharryl Teneyuca (who spells her last name with a second “e”) and Terry Ybáñez. The workers organized under the International Pecan Shellers Union (IPCU) Local No. 172 and got support from up to 8,000 other workers; bringing the city’s largest industry to a halt. For more, go to the Mujerista. — Poynter has a look at how the average defamation suit costs a newspaper $500,000 to defend against . Pennsylvania Lt. Gov. John Fetterman, a Democrat who has garnered national attention for championing both union workers and gay marriage (and because he is a 6’8”, bald, tattooed white dude), toured the Clairton plant a week later, calling for it to remain open. “It’s done the best anyone could expect,” he told reporters, standing in front of the plant, surrounded by steelworkers. Fetterman and his family live in a former car dealership across the street from one of US Steel’s other Mon Valley plants. “You’re never going to hear me calling for the elimination of the union way of life for 3,000 families,” Fetterman told New York magazine about the Clairton plant. Building support from union workers and black voters was the key to preventing Trump from winning Pennsylvania in the 2020 election, he said in the same interview. Fetterman now uses the photo of himself standing in front of the Clairton coke works amid steel workers as the main image on his Twitter page. For more, go to Buzzfeed. Be the first to comment on "UAW Has Majority Support at VW & More – NewsGuild Prez Won’t Debate – Miss Teachers Move to Sickout"